loving his new drum toy from his Auntie Shirley! It's been a half-good week, half-bad week, due to my weird up and down moods post-weaning (still trying to muster up some excitement to finish my post on that). But it's Friday and that means the weekend is almost here, which means lots of family fun. I swear, on Mondays Hank and I are already planning out our next weekend and we look forward to it all week long. And this weekend is going to be a good one- we are going to be celebrating a friend's 30th birthday Mad Men-style and finishing up our holiday shopping. As for today Henry and I just got home from running some errands and he is down for his afternoon nap. Or kind of down I should say...the past couple of days he's been fighting it a bit so he's currently just sitting there playing with his feet. Silly guy. While I cross my fingers he lays down soon, I thought I'd hop on here really quick to share some links. I hope you all have a wonderful weekend! Have you checked to see if you're a winner of the StickyGram Instagram magnet giveaway? I announnced the three winners in that post. If you didn't win, StickyGram is offering 15% off using promo code "SOMETIMESSWEETPROMO." Awesome! Welcome to the Age of Over-parenting. A long article but worth the read! I loved Emily's gift guide for a handmade Christmas. 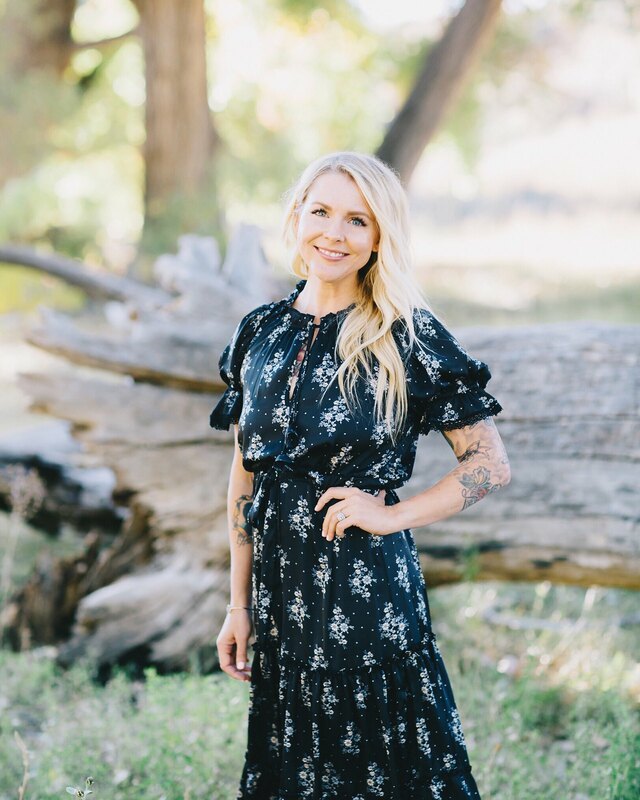 I also just adore Emily so be sure to say hi on her blog! These hand-drawn, printable gift tags are fantastic. The gift of tea! What a great idea. What do you get when you cross (500) Days of Summer with Lil Wayne? (500) Days of Weezy. If you're a fan of either, check this out! Thank you Jason for sharing this with me. And speaking of Jason, if you have ads on your blog, you may want to sign up for his new product release - very neat stuff! I discovered this awesome book via Jen, and it's definitely on my "must-get" list. So neat. Ahh, this skirt! I love it. Don't this orange dream cupcakes look great? I'm definitely utilizing this great idea for our girls' Christmas party next year. Emily Martin of The Black Apple has created some adorable (and free) holiday paper doll printables. Pinterest puts Carynn in a bad mood. Do you agree? Chocolate banana almond bread? Yes please. Sponsor love! Say hi to Justine, Aileen, and Katie! Here are some traditional Christmas cookie recipes from Martha Stewart. Check out this kitchen remodel before and after. Amazing, right? 12 Healthy Habits for Busy People. Great article via my pal Betsey. Loved this post on how to throw a holiday party. This bowtie in a baby size would be perfect for Henry this holiday season. And speaking of the holidays, how adorable is this DIY mini present garland? I loved Jess' video about getting tons of volume in your top knot. Isn't she gorgeous? If you need a smile, check out this video on Katie's blog. Her family is just the best. What a clever idea for a simple, homemade, and delicious gift. "A Message to Women from a Man: You Are Not Crazy." Interesting read shared by my friend John via Facebook. I love Kelly Ann and I love Diane Keaton, so it's safe to say I loved this post. My friend Jess recently started a blog all about nails! I am loving her simple candy cane manicure. I'll definitely be trying it this week! Those PJ's are AWESOME! I would like one, adult size (: too cute! So many fabulous links today. I read "A Message to Women from a Man: You Are Not Crazy" several weeks ago - so spot on. And, the Diane Keaton book? Amazing. The "Pinterest puts me in a bad mood" post was so great. Love your weekend links. I always discover other great blogs through your links. Loved the Welcome to the Age of Overparenting article. Good stuff. ahh, i love henry's crazy hair. he is getting SO big. also, i love the pintrest puts me in a bad mood most. definitely agree. Henry - love that name. What a handsome little guy. 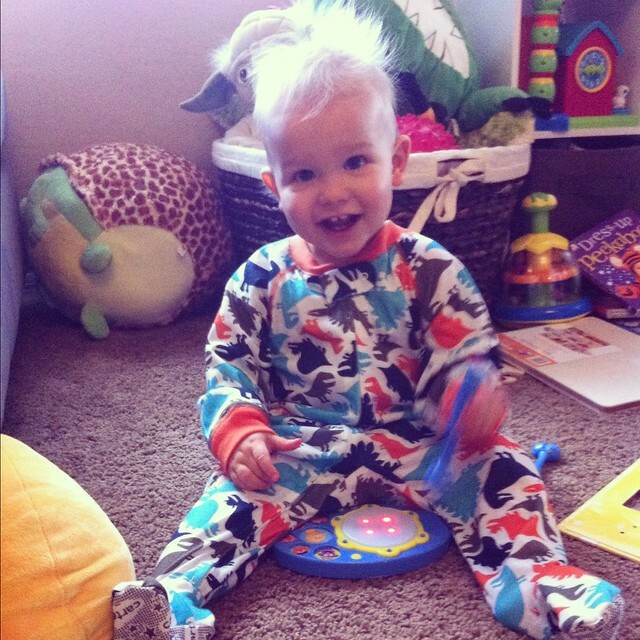 His little pj's and hair are so cute! Love the handmade gift guide, so many great ideas! Thanks for the link love :). I loved the top knot video because I have been obsessed with messy buns lately! They are so easy & cute when I'm in a hurry in the morning. Have a great weekend Danielle! Hehe. I love Henry's hair. Is he really as blond as he looks in this photo? Oh, and I love what Carynn had to say about Pinterest. I feel exactly the same way. (500) Days of Weezy is seriously making my night right now. So stinkin' awesome! Wow I really needed to read that article, Welcome to the Age of Over-Parenting. Sometimes I feel guilty when I'm not engaging with my kids, but sometimes I feel like I want some "me" time and they need some time to play together, without Mama breathing down their backs. They seem to be happy when they have time on their own. I will definitely lay off a bit on trying to praise them all the time too. I don't want to be an over-protective mother to the point of paranoia. This was a very good read. Thanks for sharing, Danielle! xoxo It is always an honor to be included in these posts. Makes my day! You should totally get that books. It's seriously the cutest.